I write regularly about how branding impacts your website, your marketing and your business. 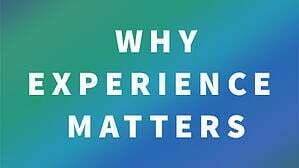 Last week, in celebration of RainCastle's twentieth anniversary, we launched our new website, in which we introduced our new brand theme, "EXPERIENCE MATTERS," here's why. My first business, years before RainCastle, was Regensburg Design. That business failed to gain traction because I lacked experience in business and relationship-building, how companies work, how decisions are made and what it really means to offer "value." I had a passion for design and was good at visual problem solving — that was my experience. After that, I took a job as Art Director for a rapidly growing tech company. My in-house clients needed me to be fast and good; there was no time for deliberation. Design was a means to an end: marketing to aid the sale, diagrams to make the PowerPoint more powerful or icons as shorthand for the product. I learned marketing tactics and my value was having colleagues who relied upon me for their marketing and design needs. Being part of a corporate team, I also experienced firsthand how decisions are made. For example, because the company's main product was a huge success, leadership decided to rename the business to have the same name as its high flying product. Less than one year later, when the product's technology was supplanted by the competition’s next generation products, the company name became the albatross of "old technology." I often face similar "brand architecture" situations; experience with corporate and product branding matters every time. "The nature of business is about constantly adapting to change and starting anew, but each time with deeper experience, greater knowledge, stronger relationships and more confidence." At the height of the bubble, RainCastle was riding the crest of the technology wave, winning big awards and creating increasingly complex websites and applications for venture capital backed companies. Then the bottom dropped out; not only did the market dry up, but our tech leadership left and recruited our key tech employees. That experience taught me that the nature of business is being able to adapt to change. I hired a new team based on shared goals, open communication and clearly defined roles. We built solid processes that remain the backbone of the RainCastle experience today and we emerged with deeper experience, greater knowledge, stronger relationships and more confidence. 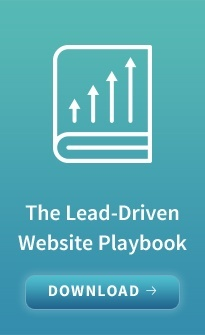 Over our twenty year history as an agency we've learned that the holistic approach to marketing — integrating one's brand messaging, website user experience and marketing programs — leads to sustainable success. Time is precious. So are marketing budgets. Experience is critical for making the most of both. That's why "EXPERIENCE MATTERS."